How does the saying go? Oh yeah! "The road to hell is paved with good intentions." And good intentions is what Herman Rosenblat and his wife had when they told a tall tale to those in the publishing world. The AP article quotes Rosenblat as saying, "I wanted to bring happiness to people...I brought hope to a lot of people. My motivation was to make good in this world." So, the Rosenblats stretched the truth to fit their good intentions. According to the AP article, "Rosenblat's believers included not only his agent and his publisher, but also TV talk show host Oprah Winfrey, film producers, journalists, family members and strangers who ignored, or did not know about, the warnings from scholars that his story did not make sense." Related news were also listed in today's Publishers Lunch, which talked about the repercussions of this fabricated tale in a children title. This 12/29/08 edition of Publishers Lunch tells us that, "Lerner Publishing Group, also duped into publishing Herman Rosenblat's fake Holocaust love story in the children's book ANGEL GIRL (released this September), is recalling the book. The company is "issuing refunds on all returned books" and "no longer offering the book for sale." This is a financial hit to the publisher...at a time when publishers are having to watch the bottom line more than ever. And, by default, it's also a hit to authors everywhere wanting to get their manuscripts to press. Publishers Lunch quotes the author of the recalled Lerner Publication title as saying, "throughout the development of this book, the Rosenblats reviewed my manuscript and assured me of the authenticity of the details of their story. 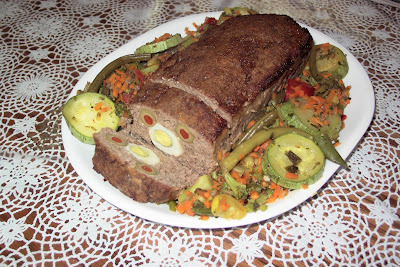 Unfortunately, I, like many others, am disappointed and upset to now learn of Herman's fabrications." Regardless of who's to blame for yet another publishing misstep, with the Rosenblats being the primary culprits on this one, the result is the same and it's not a good one. The AP article is right when it states that, "Publishing, the most trusting of industries, has again been burned by a memoir that fact-checking might have prevented." Whose responsibility is it to vet information sources prior to acquiring or publishing a manuscript? I always thought it was the author's responsibility. The literary agent and publisher can and probably should require backup research from the author. But must they now add the role of detective to their already overloaded job descriptions? What could the various gatekeepers within the publishing world have done to guarantee that what they were hearing from the Rosenblats was true information? Write back and let me know what you think. Most of us are familiar with the Christmas story, regardless of whether we follow the Christian religion or not. Manny starts out with the storyline most of us are familiar with, "He didn't have to do it, nevertheless he did it. They spit on him, hit him, threw him on the floor. They punched him, mistreated him and whipped him." We've seen this story depicted in movies and read it ourselves or have had the story read to us over the years. The second verse in the song makes it personal when Manny raps, "And there I was with the whip in my hand. And there I was piercing his side. And there I was nailing his hands. Because it was you and I who crucified him." During the choir Manny tells us why Christ is called The Immortal. And then the song goes on to say who it is he died for...from Mother Theresa to Saddam Hussein, from missionaries to terrorists. A powerful take on the Christmas story, as told by a young Puerto Rican rapper. What do you think? Is anyone as tired as I am of seeing commercials making fun of men in order to sell a product? The latest culprit in this trend is the priceless.com one where a guy gifts his girl with a box of tissues, a paper bag, and a trampoline. Then he opens the drapes and she sees the two matching cars. She faints and lands on the small trampoline he'd placed behind her, bounces right back up, hugs her guy...and smacks him upside the head. Smacks him upside the head? Why? Because he teased her with smaller gifts while all along he was going to show her the cars he had bought? Every single time that commercial came up I switched channels. The guy in the commercial is the cutest thing ever. He absolutely does not deserve to be hit. His face expressions are, well, priceless! Here's a guy who knows his gal well enough to know how she is going to react when she sees the car he bought her. She was going to cry, so he'd given her tissues. She was going to hyperventilate, so he'd gifted her with a paper bag. She was also going to faint, so he'd purchased and placed a trampoline behind her. This guy is a one-in-a-million type of guy! So the smack upside the head was not only out of place, it follows the trend of insulting a man in order to sell a product. I personally would like to see this type of advertising go away. It's insulting not just to men but to those of us who love and appreciate everything men do and stand for. Kudos to priceless.com for coming up with this edited version of the commercial. I'd love to hear from others about this topic. What do you think about the idea that insulting men sells products? I went to see The Women with four of my girlfriends thinking it'd be a total chic-flick. It was. It's also a great guy-flick, one that will give guys great insights on what women are all about. This movie is AWESOME!!! We laughed throughout the entire movie. It was soooooooo funny!!! They nailed it when it comes to portraying how women often feel about different topics. Eva Mendez says it best in the YouTube video we've posted below. The soundtrack in the video is a bit choppy towards the end but you can still hear what she's saying. In The Women, Eva Mendez plays Joan Crawford's character from the 1939 version of this movie. My favorite scene was the one in the dressing room. Eva plays "the other woman" brilliantly and wives ought to pay attention to what she's saying. Diane English is the writer director of The Women . Mendez tells us in the YouTube video that English, "wrote and directed this film and what she wanted to do was have a departure from the original in the sense that it's a different time. Women felt more competitive towards one another back in the day. Now we have so much more opportunities and we're not all fighting for the rich guy because we can kind of do it on our own and there's more of a sisterhood out there. So she really brought it to 2008 and wanted to represent the modern woman." In the video clip Mendez is asked, "Now for us men, are we going to get some insight to women if we go see this movie?" And Mendez is right on target when she replies, "You will totally figure everything out. You will learn how to deal with us better. You will figure out our psyche. Seeing this movie will change your life and how you deal with women." I only wish I had the movie script so I could memorize some of the lines in there. I thought it had right-on advice for married women in particular. As women we tend to be all things to all people, to our kids, to our work, to our home, and... oh yeah... to our hubbies, the latter often as an afterthought. One good reminder in the movie was that if we as wives don't take care of our hubbies...someone else will. I think that's true. The movie brought it across in a hilarious manner and in the midst of all the laughing the messages it delivers strikes home. While watching the news on 5 November 2008, I saw folks in long lines in front of the newspaper office of The New York Times, all wanting to buy a copy of today's issue. It dawned on me that, yes, today's copy, showing Obama as the country's President-elect, would be a keepsake. The first African-American president to be elected in the United States was a historic event, regardless of whether one had voted for him or McCain. So I drove around town looking for such copies with Barack Obama on the front page. I was only able to get a copy of the Denver Post and was told that all other papers were sold out first thing this morning. I purchased my copy of The Denver Post and thought I'd buy the other papers online. Not to be deterred, I called both newspapers and it turns out we could order the 5 November 2008 issue at the fair price of $4.95 (USA Today) and $5.75 (NYTimes) plus shipping. I'm not sure how long the papers will be taking orders but, for history's sake, I went ahead and ordered 5 copies from each newspaper for our family to treasure as keepsakes. Back Copies of The New York Times from the last 90 days can be ordered directly from the newspaper by calling 1-800-543-5380. I had to wait on the phone for almost 45 minutes but it's worth it to order the 11/5/08 copy of the paper at a reasonable price of $5.75 per copy sent to me Second Class mail. You may have to set up an account in order to order your copy but setting up the account is free. Click "USA Today Previous Issues"
Scroll down the page until you see "11/05/2008 Issue of USA TODAY" and select how many copies you'd like to order at $4.95 per copy. Washington Post Commemorative Edition Paper was available from cafepress.com for $9.95 plus S/H. Their webpage says the, "Commemorative Edition Paper includes front section and election section from the paper published 11/05/08." The Chicago Tribune Store shows that, normally, back copies are $0.75 each. The 11/5/08 issue, however, could only be ordered for $10 a copy by calling their phone number, 312-222-3080. 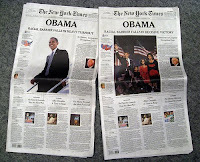 I would love to hear your comments on how folks were able to obtain copies of 11/5/08 newspapers from around the world announcing Obama's win. If you purchased copies yourself, tell us why you did so. Who did you purchase them for? Yourself? Others? Which paper did you get? When I came to the USA, oh so many years ago, I thought I'd died and gone to heaven. Now, years later, I still feel the same. America! The United States of America. My parents and their six daughters, me being the oldest of the six girls, were finally in the USA and we were safe. It took three years for Castro's communist government to give us permission to leave Cuba. We then lived almost a year in Spain while our USA residency papers were processed and all eight of us received our green cards. We've always been a strong Christian family. Our faith in God played no small part in keeping us safe and sane during the turbulent and terrifying years we lived in Cuba after Fidel brought communism to our homeland. It also held us together when we arrived in the USA with nothing to call our own except a dream and a hope that we'd arrived in the USA, the land of opportunity, the land where dreams come true for those who work hard and do not give up. And America did not disappoint us. It allowed all eight of us the privilege to become naturalized citizens. Our parents worked 1-1/2 jobs each in order to build a future for their six daughters. With their help, all six of us worked our way through school and graduated from college. The years have gone by and both Mamá and Papá are now in heaven, along with one of my sisters. During all this time the one thing that remained constant in each of our lives was our deep faith in God and in the American dream. We were living proof that both existed, for they existed in our lives and in our hearts. Therefore, it was with mixed feelings that I saw a Vice Presidential candidate spearheading the notion that, somehow, if we did not agree with her views, and voted for her ticket, we were not real Americans. What? I do not belong to the real America just because I may not vote for Palin/McCain? Have I been deluded all these years into thinking that the adopted country I love is not the real America? Which America is it that took our family in? Which America gave us a home when we had no home? I always thought it was just one America, one U.S.A., "one nation, under God, indivisible, with liberty and justice for all." I myself am a registered Republican and it saddened me to see the GOP attempting to win an election by using divisive methods and rhetoric. Just like it was through young people talking to me that I first began to get to know Senator Barack Obama, it also was through watching the TV show that many a young person tells me they watch, The Daily Show with Jon Stewart, that I came upon three segments that brought home the ridiculousness of someone saying there's more than one single United States of America. So I watched the following three video clips from the Jon Stewart's The Daily Show and decided that, according to Governor Sarah Palin, I am NOT a real American. But the truth is that, regardless of what Governor Palin thinks, neither she nor anyone else can take the love and pride and honor I feel when I think of the USA, my adopted homeland, the country I feel indebted to...for it took me and my family in when we had to escape the totalitarian regime that overtook the land of our birth. Quiz: Are You a Real American? What are your thoughts when it comes to rhetoric used by political candidates? Does negative campaigning work for you? Does it influence your choice of candidate when it comes time to vote? I'm not a political person. I've never attended a political rally. I've never volunteered for political candidates. I've never donated to any political campaign, not even when I fill out my taxes every year and am asked whether I want to donate a few dollars. Now a Senator from Illinois has changed all this. This morning I rolled out of bed at 5:30am, got dressed, and drove 73.5 miles to Civic Center Park in Denver, Colorado, to attend the "Early Vote for Change Rally with Barack Obama." It was 7:20am when I arrived. The streets hadn't yet been closed to traffic and already several hundred people were in line. I knew there would be a four hour wait before Obama spoke so I'd come prepared with books to review and books on tape to listen to while I waited. Knowing my emotional nature, I'd also stuffed tissue paper in my backpack and was ready to be swept up in the emotions of the moment. Four hours went by before Obama came to the podium and I neither read nor listened to any books during this time. There's something about standing shoulder to shoulder in the midst of a sea of people that buoys both the heart and the soul and time seems to pass by unnoticed. By the end of Obama's talk I had not used a single tissue. This was a once-in-a-lifetime event for me, not of the emotional gushy type, but of the wonder-filled type. I never dreamed I'd be one of 100,000+ people who gathered to listen to the person they hoped would be their next president. I'm guessing most people had already decided to vote for Obama. I wonder how many undecided went to the rally in order to see for themselves a bit more of what this candidate was all about. The sea of humanity that surrounded me was vibrant and hope-filled. They belonged to all different political parties. There were Republicans, Democrats, and Independents in the crowd. There were scholars, business people, students, home-makers, folks from all walks of life, from countless different ethnic backgrounds, and of all different ages. I saw tiny little babies, kindergarten and elementary school age kids, high school kids, college kids, older adults, senior citizens. Men and women, young and old, red and yellow, black and white, all together, all voting for hope and not fear, for tomorrow and not yesterday. Following are photos and videos I took during the event, plus links to related news articles. The Huffington Post reports that, "Obama Draws More Than 100,000 At Denver Rally." The article carries some great photos of the event, courtesy of Getty. The Associated Press states, "Police estimate the crowd for a rally by Sen. Barack Obama at well over 100,000. Police spokesman Sonny Jackson says the crowd Sunday spilled out of Civic Center Park to the State Capitol and onto surrounding streets as Obama visited Colorado nine days before the election." And KRDO.COM carried an AP press news article stating that, "Not since Pope John Paul II filled the park in 1993 have so many people turned out for an event in Denver's Civic Center Park." Slide Show Photo Credits: I noted in the slide show the 14 photos taken by Usha Ramamurthy. The rest were taken by me. Crowd's response as Obama is introduced. He looked at the 100,000 in attendance and joked, "Do you ever have small crowds in Denver?" Note: On November 4, 2008, Barack Obama was elected the 44th President of the United States. There are high expectations riding on his presidency and he's going to need all the help, wisdom, and guidance he can get in order to meet those expectations. I'm wishing him well, same as I would have McCain had he won the elections. May God bless Obama, his family and his presidency and may God bless the United States of America. There's an inherent power in music to lift our soul out of the mire of daily living and unto a place where we can begin to see things more clear. That power is intensified when the lyrics, the words carried along by the rhythm, are words of life, of hope, of encouragement. This is what I found in Willy Chirino's new single, "Pa'lante." The beat carries you along and then the words empower you to believe once more in yourself, in spite of whatever negativity the world or your inner critic is verbalizing. "Pa'lante" literally means "para adelante" in Spanish. It is often shortened in the same way that "don't" often replaces "do not" in English. Translated, pa'lante means to move on, to go forward, to keep going. Implied in that statement is the idea that we don't look back but rather we forge ahead. The failures, defeats, stumbles may influence but should not predict our future. Only we ourselves can do that if we choose to dwell in the darkness of unfulfilled dreams rather than embrace each new day, each present moment, and receive from it the gift that moment offers us to invite a world of possible futures into our daily living moment by moment. Enjoy listening to the following YouTube video and feel free to purchase an immediate download of Pa'lante or even buy the CD. I've listed links to amazon.com following the video where Willy's music is available at a good price. Click here to see the lyrics of "Pa'lante" in Spanish and follow along as you listen to Willy sing. For those of you who don't understand Spanish, I've gone ahead and included the English translation to the lyrics. I'm on a dedicated path to getting in shape, motivated by the fact that a friend of mine has lost 30 pounds in five months. I asked him what he'd done to get in shape and he told me one of the things was he purchased a pedometer that connects via a USB cable to his computer to he can track how much he walks every day. I've lost count of how many different pedometers I've bought over the years and none of them worked. I had to attach them to my waistband and they'd pop off and never kept accurate steps. They were all different prices and manufacturers but NONE ever worked. Adding insult to injury, all of them demotivated me because I would go to the high school track and walk around it four times, knowing each time was 1/4 of a mile and the various pedometers never gave me a mile as the figure. 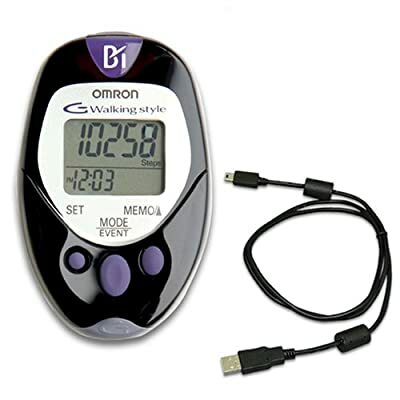 At any rate, the pedometer my friend bought is the Omron HJ-720ITC Pocket Pedometer with Advanced Omron Health Management Software . It retails for $50 but amazon.com has it for under $30 with free shipping. I ordered one and have been using it since the day it arrived. What I LOVE about it is that you can put it in your pocket or even a purse you carry with you and it works!!! So no more having to clip it to my waistband. 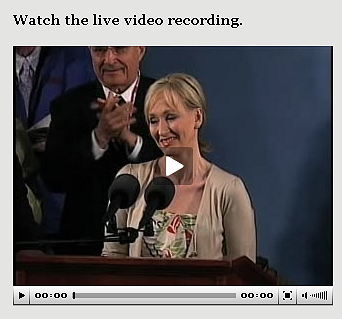 J.K. Rowling, author of the best-selling Harry Potter book series, delivered her Commencement Address, The Fringe Benefits of Failure, and the Importance of Imagination, at the Annual Meeting of the Harvard Alumni Association. I've listened to it several times and downloaded it to my computer so I can listen to it often from now on. [Most of the transcript of the talk is included in the link]. I was touched by Rowling's words and her demeanor as she delivered them--how transparent and vulnerable she came across. The message she shares is priceless and timeless. Balancing ambition she had for herself and the expectations of those close to her. Cannot blame parents for direction she took in life. The moment you're old enough to take the wheel responsibility is yours. There's an expiration date on blaming parents. Poverty itself is romanticized only by fools. What I feared at your age wasn't poverty but failure. Your idea of failure might not be far from the average person's idea of success. Seven years after my graduation I'd failed on an epic scale. The fears I'd had for myself had come to pass. I was the biggest failure I knew. Failure is not fun. That period of my life was a dark one. For a long time any light at the end of my tunnel was a hope rather than a reality. Failure meant the stripping away of the unessentials. I stopped pretending that I was anything but what I was. Had I really succeeded in other things I might not have tried the one thing I felt I really belonged in. Rock bottom became the solid foundation upon which I built my life. Personal happiness lies in knowing life is not a checklist of achievements. Life is difficult and complicated and the humility to know that will enable you to survive its vicissitudes. Imagination is not only the unique human capacity to envision that which is not...it is the power that enables us to empathize with humans whose experience we have never shared. Human beings can learn and understand without having experienced. They can think themselves unto other people's places. Many prefer not to exercise their imaginations at all. Choosing to live in narrow spaces leads to a form of mental acrophobia and that brings its own terrors. The willful unimaginative see more monsters. They are often more afraid. We do not need magic to transform our world. We carry all the power we need inside ourselves already. We have the power to imagine better. "We touch other people's lives simple by existing... But how much more are you, Harvard graduates of 2008, likely to touch other people's lives. Your intelligence, capacity for hard work, education you've earned and received gives you unique status and unique responsibilities. Even your nationality sets you apart. The great majority of you belong to the world's only remaining superpower. The way you vote, live, protest, the pressure you bring to bear on your government has impact beyond your borders. That's your privilege and your burden. If you choose to use your status and influence to raise your voice on behalf of those who have no voice. If you choose to identify not only with the powerful but with the powerless. If you retain the ability to imagine yourself into the lives of those who do not have your advantages, then it will not only be your proud families who celebrate your existence, but thousands and millions of people whose realities you have helped to change." Watch the video, take her words to heart, and come back and tell me what you think about them. I very much enjoy listening to the music of ORISHAS. This song, MUJER, has a nice beat and great lyrics. The words talk about what many women have gone through and put up with over the ages, from domestic violence to being ignored and not respected. The idea that women are considered still today in parts of the world second class citizens is talked about. It touches me to hear men sing this tribute to women. I've translated some of the words below. The song goes on with words such as, "in the shadows lives this precious being not able to let her voice be heard, trying to resist and work through the centuries without giving up... giving love... it's time for the men of the universe to write about this issue, this situation... this has been the past history but victory hasn't been gained, we need to continue on with strength and all together fight for what we love, giving women progress, even though I know that to attain this there's a long ways to go..."
Good beat and good words to remind us of the value of womanhood. My love affair with Jerry Scott & Jim Borgman's creation in their ZITS cartoons is never ending. I am in awe of how these gifted artists/writers have captured so much of what I think is the essence of teenage boys. I talked about this in another blog I entered a few years back, ZITS: Understanding Teenage Boys. Then tonight, while reviewing comments to my blog I found one from caminohueco that mentioned that ZITS books were available! For someone who enjoys Zits as much as I do I don't know how the availability of the books went unnoticed. The only thing I can think of is that I've been enjoying them daily for the past several years via my subscription to DAILY INK. I'm happy to report that the annual subscription price to DAILY INK is still $15/year...just as it was back in 2005. At any rate, for those of you who enjoy reading ZITS as much as I do, I've gone ahead and put links throughout this blog and below that will take you to the copies available through amazon.com. Enjoy! In the Cuba: Island of my heart myspace group I moderate we've been talking, among other things, about internet access Cubans living in the island may or may not have. My sister sent me a link to a short YouTube video clip that talks about a blogger in Havana. The video clip also discusses the lack of internet access to Cubans. Yoani Sanchez is the blogger. The Wall Street Journal reporter interviewing her tells us that for her to blog she "bluffs her way into internet cafes in tourist hotels that normally bar Cubans from entering...Cubans aren't allowed to have internet at home...public internet access available to Cubans is too slow to manage a blog...in October, her [Yoani's] blog had 1/2 a million hits. Her readers are mostly outside of Cuba..."
Honestly, I just can't get over how much today Cuba looks like what we normally think of as a third world country. Seeing Yoani walking thru the streets in Havana she might as well be walking through a destitude country. So much of the beauty, majesty, glory of Cuba seems to have gone with the wind of the government that has ruled it these almost past 50 years. ...Old Havana, drying clothes visible in crumbling homes that hint of a majestic age gone by...a butcher shop closed for siesta time is one no one in their right mind would want to buy any type of food, let alone meat from. It's filthy looking...can you imagine the diseases you're buying along with whatever meat you may be able to buy if your ration card says you're entitled to it and if there's any left after you've stood in line for hours??? I like what Yoani says towards the end of the video clip, "I think that each Cuban can do something to change things that they don't like. Some with more intensity and others with less. We need to be more honest about what one thinks...to try to act as if you were free even though there are political structures that tell you you're not..."
Even though I like that last statement I've been googling Yoani's name and folks are wondering whether she's for real. I know, I know, the never ending conspiracy theories!!! LOL. But really, ok, what she says is nice. But is it believable? Folks online are wondering if she's a plant of the communist government because, honestly, what are the odds that someone in Havana can keep up a blog critical of the Castros government? And others said if her being sent to jail would then validate her authenticity and others replied well that could also be set up to appear as if she's authentic and being persecuted for speaking the truth as so many other Cubans have done and ended up rotting in Cuban jails. Bottom line is that Yoani is getting away with what historically has landed others in jail...or worse. According to the reporter Cubans aren't allowed to have internet access at their homes...they're normally barred from going to the internet cafes set up for tourists, yet Yoani manages to get in. If she's for real then may countless others such as her flourish and continue to broadcast what's going on in the island right now. If she's a planted PR piece, albet one that seems to criticize the current government, then may her cover be blown ASAP.